As soloist, he has performed with all the Danish symphony orchestras, often appears entirely solo, and has extensive duo activities with the pianist, Amalie Malling. Together they have played in the Carnegie Hall, New York; the Wigmore Hall, London; and the Casals Hall, Tokyo. He has made innumerable CDs, his recording of Bach’s solo suites received a Danish Grammy for Classical Recording of 1994 and in 2006 the “Suzuki Classical Review” found Zeuthens recording the very best out of the 110 recordings available. His CD, “L’Homme Armé” with new Danish solo music was awarded the Classical Solo Recording of 2006. Among other awards is the prize given by the Danish Musicians Union. 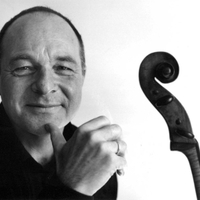 As chamber musician, Morten Zeuthen was a member of the legendary Kontra String Quartet from 1976 to 2000, who toured Europe, Japan, and the U.S, during a time when they were an ensemble officially representing the Danish state. The Quartet have recorded all the string quartets written by the major Danish composers, more than 30 CDs. The Quartet have been awarded The Gramophone Record of the Year, have been twice nominated for the Nordic Counsel’s Music Prize, received the special prize for the year’s new music recording at the MIDEM festival in Cannes, etc. As professor of cello at the Royal Danish Conservatoire of Music, Morten Zeuthen has led a blooming, international class of cellists since his appointment in 1996. His pupils have won many prizes and positions. Among those: his students have three times in a row won first price in The Danish String Competition. Results listed under Masterclasses and Jury on this site. He, himself, studied under Paul Tortelier and Asger Lund Christiansen, and, for short study periods, Mstislav Rostropovich and Arto Noras. As principal cello concertmaster in the Danish Radio Symphony Orchestra from l978 to 1997, he has toured much of the world and worked with some of the world’s greatest conductors and soloists. Morten Zeuthen plays a Giuseppe Rocca cello dating from 1845.